Los Angeles, CA – Konni Granma’s debut novel “The Lonely Hearts Bar” lands in Los Angeles at LA Times Festival of Books. The passionate and inspired novel will be featured in the Black Chateau Enterprises/Books That Make You booth. Attendees are invited to stop by booth #956, in the Black Zone, on April 13th and 14th at the USC Campus in Los Angeles, California. “The Lonely Hearts Bar” follows the story of Connie, a college student who travels to Los Angeles in pursuit of her dream to be a Hollywood writer and director. A chance encounter at a roadside bar along the way shapes her destiny in ways she couldn’t imagine. Connie’s compelling journey leads her to unexpected friendships, romance, and mentors as she is forced to decide for herself if there is a darker side to following her dreams. From the age of 11 Konni has been writing books. 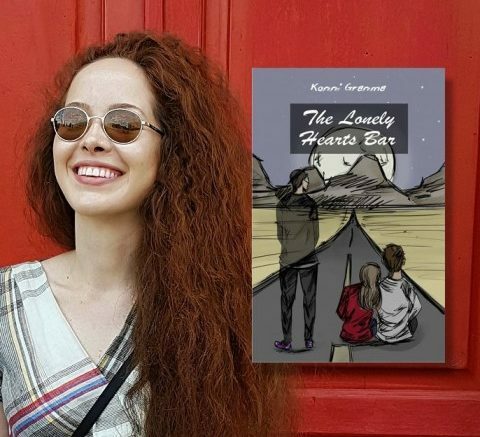 When she came of age she moved from a small abandoned town to Moscow where she exchanged the dream of “becoming a director” for the profession “doctor.” Now at the ripe old age of 21 years old, Konni is enjoying the acclaim of “The Lonely Hearts Bar” and working on her next novel. Be the first to comment on "“THE LONELY HEARTS BAR” TO BE FEATURED AT LA TIMES FESTIVAL OF BOOKS"